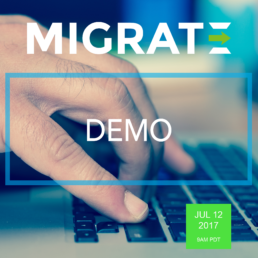 Join Stilo’s Conversion Services Manager, Helen St. Denis, for a demo of the Migrate cloud XML content conversion service. Migrate is a unique cloud service that enables technical authoring teams to automate the conversion of content from various source formats including XML/SGML/HTML, FrameMaker, Word, Author-it, InDesign, RoboHelp and DocBook to DITA and custom XML. It provides greater control over conversion quality, immediate turnaround times and operates on a low-cost, pay-as-you-use basis. See why Migrate is the conversion service of choice for organizations including Altera, Cisco, Dell, EMC, Extreme Networks, IBM, Qualcomm, Teradata, Varian Medical Systems, Webtrends and many more. Stilo's Conversion Services Manager, Helen St. Denis will be providing a demo of the Migrate cloud XML content conversion service and available to answer any questions attendees may have on content conversion. Visit the symposium website for more information on this and Balisage 2017. Document users sometimes find that the formats of the documents available are not rich enough to support their intended uses. Conversion of content and/or increasing the specificity of markup is an important task in many different content and information workflows. Markup transformations can involve high-level structuring, detailed component structuring, and/or enhancing information by inserting or matching or linking to external vocabularies or data. Enhancing markup presents numerous challenges including lack of structure of the inputs or inconsistency of input data down to the level of spelling, punctuation, and vocabulary. Sources for up-translation may be XML, word processing documents, or just plain text. The range of approaches to up-transformation is as varied as the specifics of the input and required outputs. Solutions may combine automated processing with human review or could be 100% software implementations. Transformations can require maintenance and evolution as content practices and standards evolve over time. The presentations in this pre-conference symposium will include goals, challenges, solutions, and workflows for transformation and significant XML enhancement, including approaches, tools, and techniques. Topics include content types such as LaTeX, MS Word XML, RTF, HTML, TEI, DITA, JATS, BITS and workflows for existing content and new content. HTML as a robust intermediate format will be a major topic. The symposium will also include a session of demos of conversion tools. The Board of Stilo International plc (“Stilo” or the “Company”) (LSE:STL), the AIM quoted software and cloud services company, announces that it has today issued 87,000 new ordinary shares of 1p each in the company (”Ordinary Shares”) following notification of the exercise of share options by an employee. The exercise price of the new shares is 1.5 pence per share. Application has been made for the 87,000 Ordinary Shares to be admitted to trading on AIM and it is expected that admission will take place on 13th July 2017. The Ordinary Shares will rank pari passu with the existing shares of the Company. Following allotment of the Ordinary Shares, the total issued share capital of the Company will be 113,930,470 ordinary shares. For the purposes of the Financial Conduct Authority’s Disclosure and Transparency Rules (“DTRs”), the issued ordinary share capital of Stilo following this allotment will consist of 113,930,470 ordinary shares with voting rights attached (one vote per share). There are no shares held in treasury. This total voting rights figure may be used by shareholders as the denominator for the calculation by which they will determine whether they are required to notify their interest in, or a change to their interest in, Stilo under the DTRs. 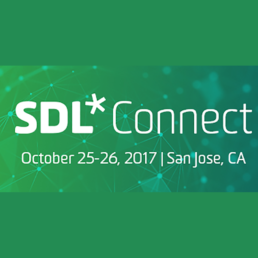 Stilo is pleased to be one of the bronze sponsors at SDL Connect 2017, being held October 25-26 in San Jose, California - SDL's annual flagship event that offers attendees two packed days of learning, networking and connecting! Prepare for the future of digital globalization at SDL Connect! Join us for two packed days at SDL Connect, our annual flagship event, to discuss globalization, localization, AI, web and technical content management, and much more. We’ll also be commemorating how, for the past 25 years, SDL has been helping companies change the way they communicate with customers, and we’ll share our vision for the next 25. Find out more about SDL Connect and register to attend.